Little did I know when I decided to make these London posts it would take me six months. Anyways, today I am doing the Places to Eat in London Part Two. If you would like to see part 1 you can click here. 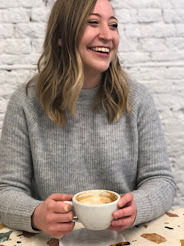 Part 1 I talked about more meal restaurants whereas in this post I am going to be sharing more snacky/dessert places, and of course places to get tea!! So choosing where we going to have tea was all up to me, which was actually the struggle as you can get tea just about anywhere in London. I decided to go for one traditional tea and one less traditional option. You can't visit England without having afternoon tea! 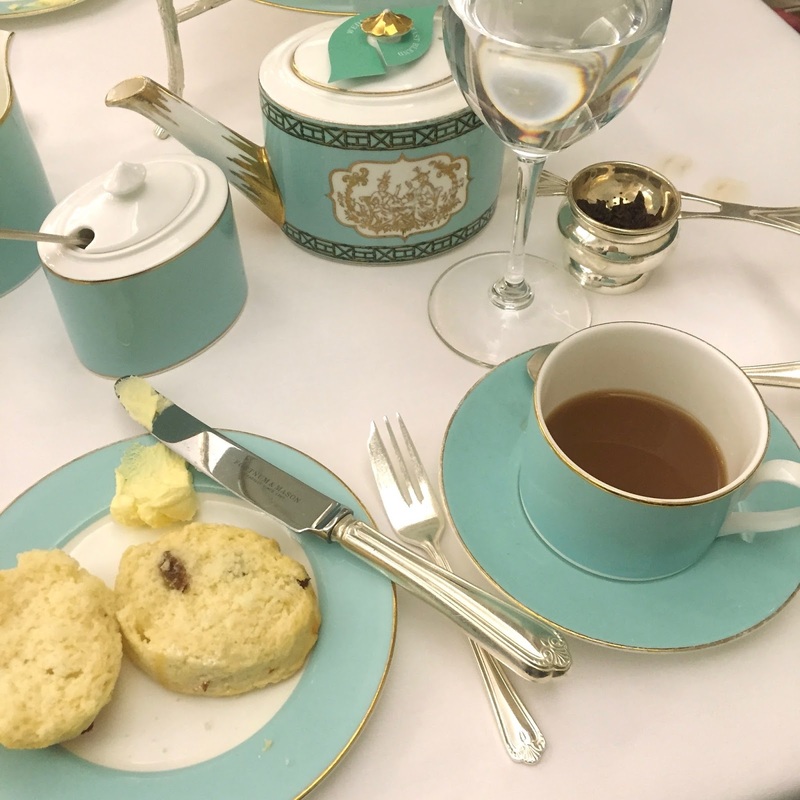 Fortnum and Mason was my pick for a traditional tea experience. This is definitely a splurge but it was oh so worth it. If you're looking for a really traditional tea, that's fancy, with good service, and pages and pages of different types of teas I definitely recommend Fortnum and Mason. For our second tea I ultimately decided to go for the tea at The Sanderson Hotel, as they were doing a special Alice in Wonderland themed tea, Sketch was definitely a runner up though. 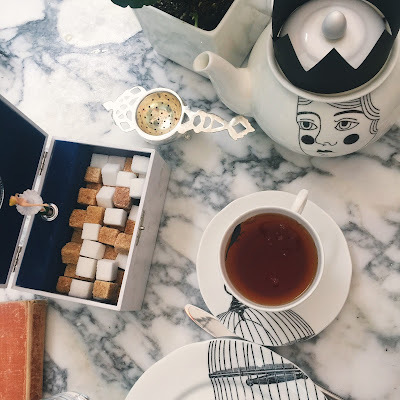 While tea at The Sanderson wasn't on par with tea at Fortnum and Mason, it was still a lot of fun. I loved all of the little Alice in Wonderland themed touches and of course the marble table was an excellent backdrop for photos. 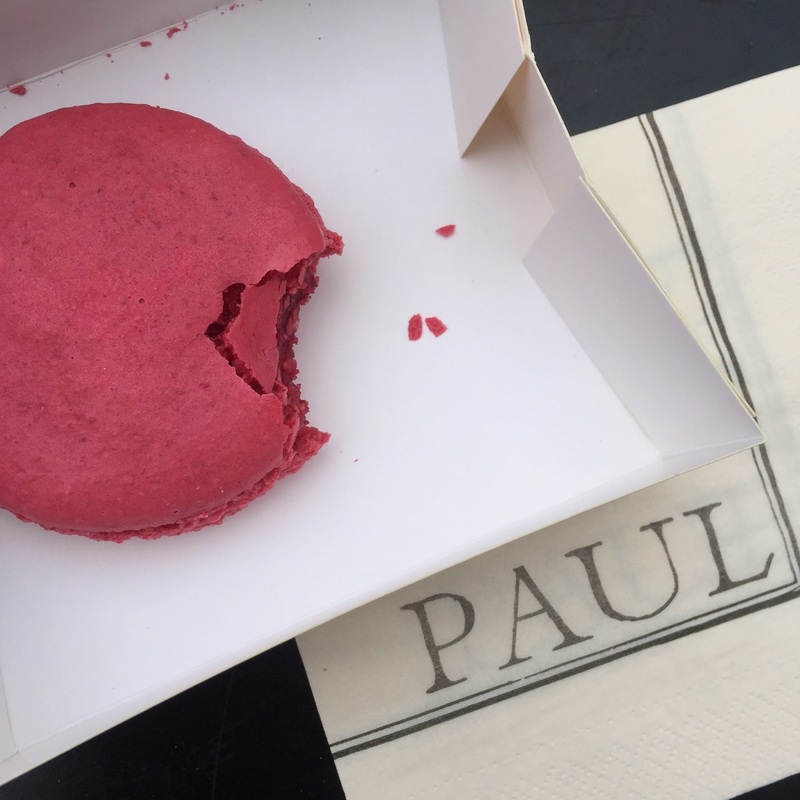 So Paul is actually an international chain that started in Paris, but it is really good. After climbing up and down St. Paul's Cathedral everyone in my family needed a little pick me up. We spotted Paul across the street and made beeline to it. I ended up getting this giant raspberry macaron and it was heavenly. Definitely not the healthiest afternoon snack, but hey we were on vacation. Okay, this might be the best gelato I have ever eaten in my life. 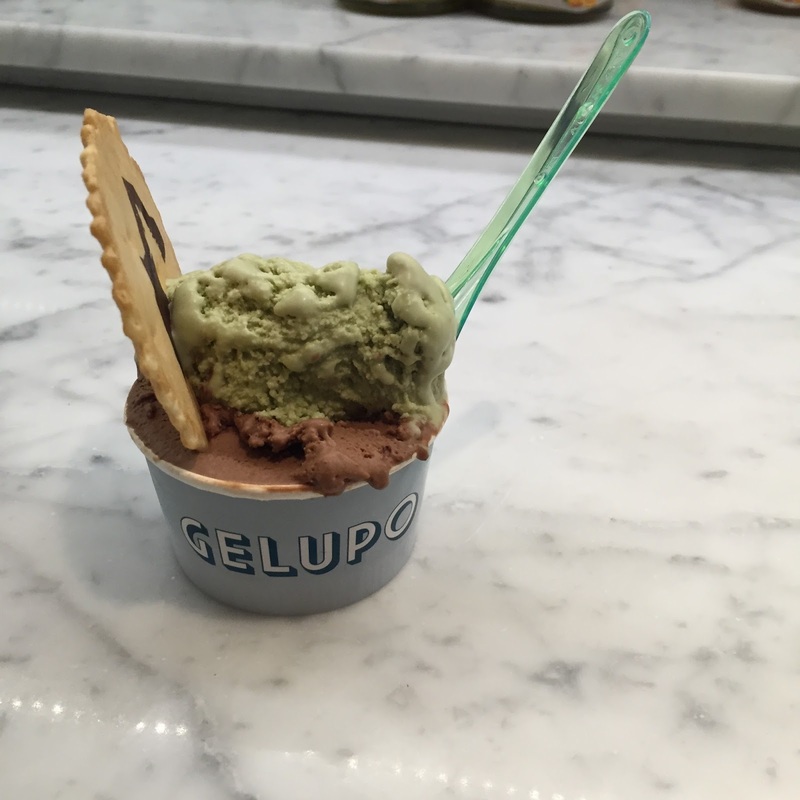 My family definitely ate more than enough of our share of gelato on this trip and Gelupo might take the cake for being the best. Not only was gelato delicious (I got chocolate hazelnut and pistachio), but the shop was super cute too! It had an adorable old school, soda fountain feel to it. Amorino is another Parisian based chain, but I super recommend it too. 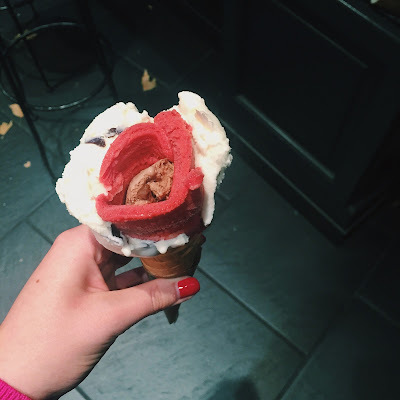 I mean, they make your ice cream into a flower so.... I got stracciatella, chocolate hazelnut, and the pink is either raspberry or strawberry. Yet again, another Parisian based chain, but I can't go to a city with Laduree and not talk about it. I actually didn't get any this trip, but the Laduree in Harrod's was the cutest. 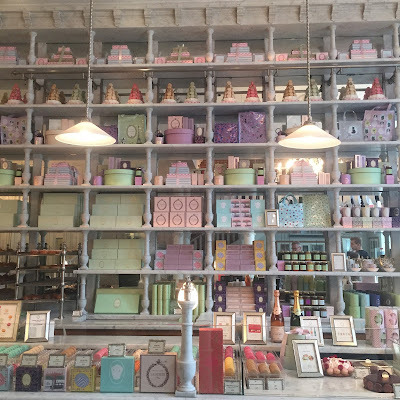 If you've never had Laduree or macarons before if you ever see a Laduree you must go! I love it! There were actually less places on this list than I thought there would be. But, I hope you guys enjoyed! I can't believe I only have one more London post left! 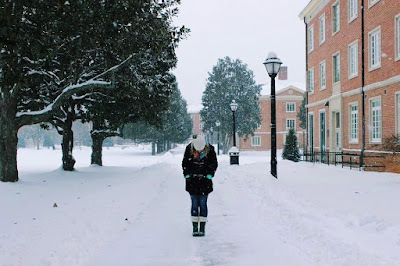 So this post is a bit belated, but these pictures are from when the winter storm Jonas hit the other week. 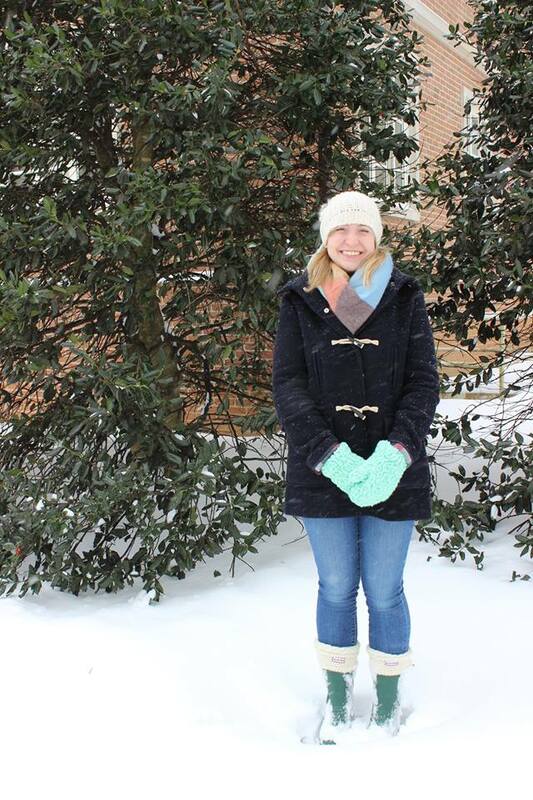 I always get excited about snow until I have to return back to actual life with a foot of snow on the ground. Nonetheless, a day off of school and a weekend spent sledding, watching movies, spending time with the roomies was definitely welcomed. First off, let me say that winter clothes are my favorite. 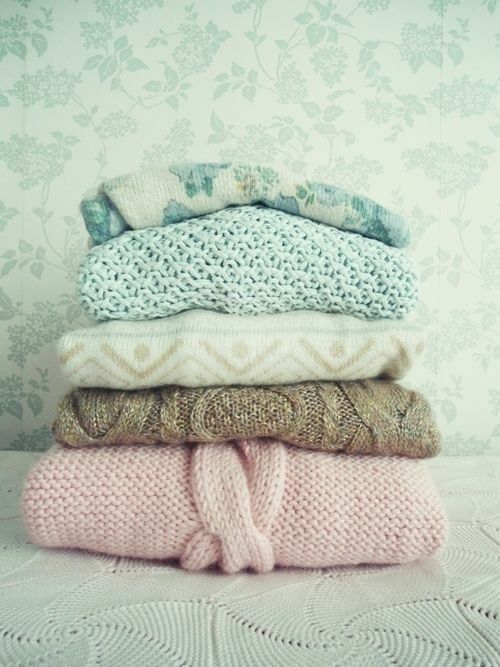 I can never have enough sweaters, mittens, hats, gloves, coats, etc. I just love how cozy and how cute everything is! Starting off this coat is probably my favorite piece in my closet. I got this coat back in high school and I am still just as obsessed with it now as I was then. I could seriously go on about how much I am obsessed with it. I just love everything about this coat from plaid lining, the cuffed sleeves, the fact that the hood attaches with buttons, and that is mostly wool. I could also go on about my love for wool coats but I'll spare you. 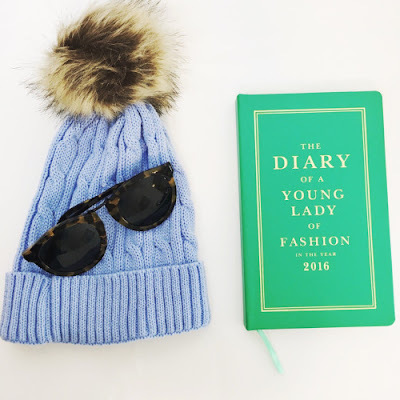 Enough about my coat, another thing I have also been loving knit hats with furry pom poms. I am typically not into fur, but for some reason I really like the fur pom poms, they're just so cute! Onto my boots, Hunter boots are not the best for cold, snowy weather. They have good traction but apart from that, once the rubber gets cold there is not hope for your feet even with the boot socks. But, nonetheless I think they're cute and I love the hunter green color as it literally goes with everything. And of course the boot socks add a cute, cozy touch. I also got this blanket scarf from Zara for Christmas. I've been into the idea of blanket scarves but I'm still not 100% convinced I can pull them off, also scarves drive me crazy too. But they are definitely a great cozy option for cold days! This was kind of a weird rambly post, but I hope you enjoyed! 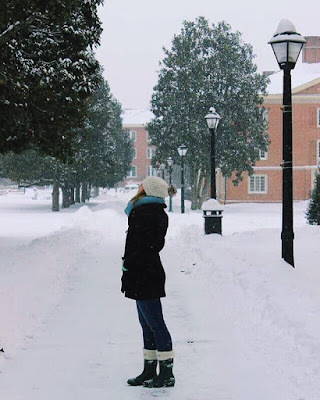 What's your favorite wintery clothing pieces? Woo! Hope you guys had a great first week of February! I have mixed feelings about February, and this time of year in general. February is exciting because my birthday is this month and Valentine's Day can be fun whether your in a relationship or not. But January, February, and March always just leave me feeling down. 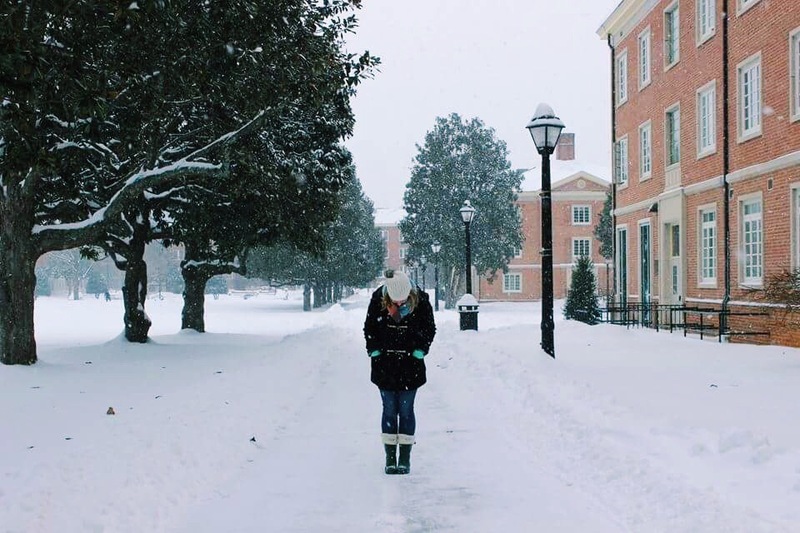 Winter has officially arrived and there is no escaping it, definitely ready for some warmer weather and sunny days. Anyways, I am so thankful that the weekend is finally here. After a busy weekend last week, spending two hours changing my windshield wipers (don't ask) and a jammed packed Sunday, I am more than ready for a chill weekend. Also, the Super Bowl is this weekend! I mean Coldplay is 1/3 of the halftime show, which is enough of a reason to watch. This blogpost has officially left me wanting to start Bible journaling. I always thought they were pretty to look at, but I haven't been that interested in actually doing it until now. The Me Before You trailor was released this week and I am much excite. I read the book last year and while it wasn't my favorite book ever, I would totally go see the movie. Also two words: Sam Claflin. All the fashion weeks are about to start and I know I always get confused of when what is happening when, so here's a calendar of all the dates. This jacket is so cute and great for spring and such a good price, I'm such a sucker for nautical things. It was announced last week that Netflix is officially making a Gilmore Girls reunion series! I officially now have to finish season 7!! Zayn dropped his first single, Pillowtalk, and as much as I hate admitting it, it's actually really good. Tips for eating healthy on a budget, every college student knows this is literally the struggle. I am a bit late to the game on this, which is really disappointing. If I had known this was going on sooner I totally would've shared this weeks ago! I was just browsing on Nordstrom's website and I happened to notice their most recent pop-in shop was with Hay! For those of you who aren't acquainted with the brand Hay, which is probably most of you, it's a Scandinavian brand that appreciates simplistic, functional designs that are aesthetically pleasing, aka Scandinavian design in a nutshell. 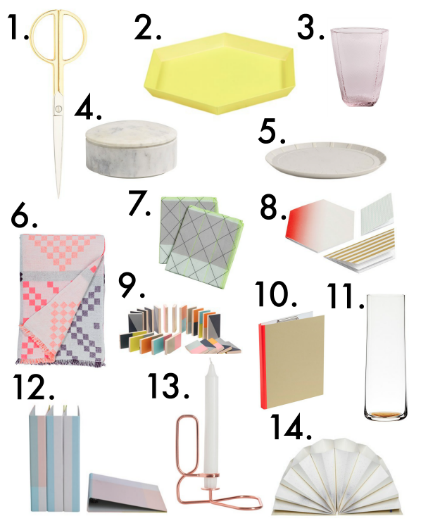 If you weren't aware I love Scandinavian design. I've actually heard of Hay before, but it is nearly extinct in the States, apart from the odd piece or two I've seen at Anthropologie. I'm probably the about the only person super excited about this, but if you're into Scandinavian design or even office supplies it's definitely worth checking out! The pop-in shop is only until February 7th, so definitely go check it out sooner rather than later! I seriously love just about everything. This was such a happy surprise. Definitely go check out the collection while you still can! So this semester has been off to a rough start, mostly due to the annoying fact that my computer has been broken for the past week. Thankfully, everything has been solved and my computer is back in my hands as I am now typing this post. I digress. Typically my style leans more towards the classic side, but lately I have been into slightly edgier pieces. With that I have been super into the idea of winter pastels. Which I know what you're thinking, how can pastels be edgy? 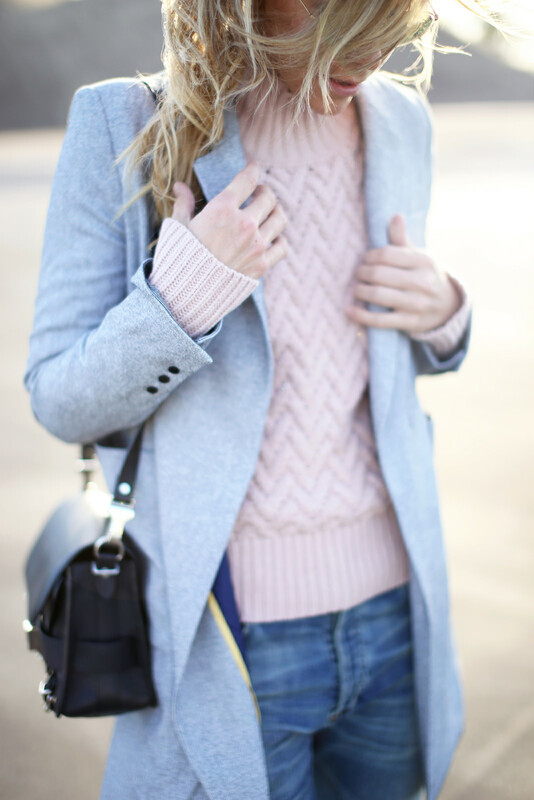 A cozy coat in pastel pink or a fuzzy sweater in pastel blue, the whole idea is totally contradictory which makes it edgy. Just the thought of a fuzzy pastel sweater and black jeans, yes. 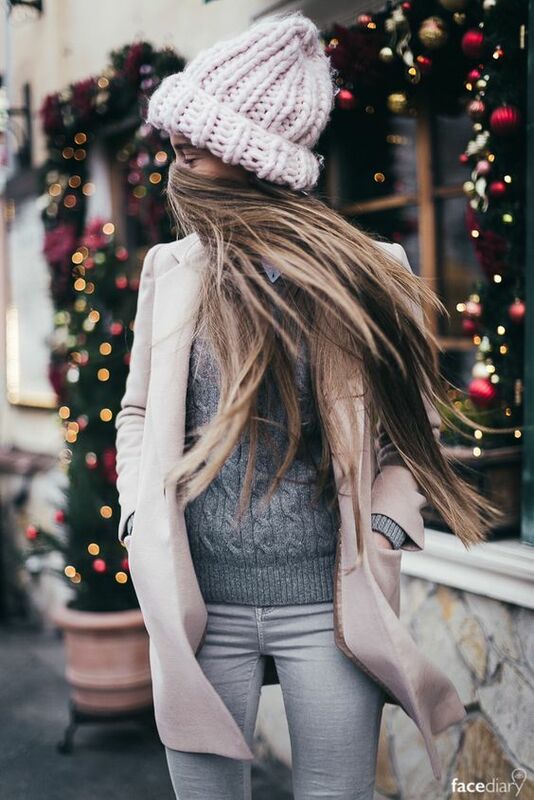 Since I've been loving winter pastels so much recently and I don't own much pastels in my closet I thought I would share some "outfit" inspiration for you guys, because I am seriously in lahv.